We would like to thank you for purchasing a Vaaru titanium cycle. We are meticulous in the design and manufacture of our cycle range and are sure you will be completely satisfied with your purchase. Our frames are designed to be lightweight performance products, which give you the maximum ride quality you expect to feel from titanium. The tubes’ profiles are double butted and in some cases are just over 0.5mm thick. Vaaru only uses the highest quality aerospace grade titanium tubing but no tubing, however carefully designed and manufactured, will withstand abuse. Vaaru titanium frames come with an 8 YEAR WARRANTY against manufacturing defects due to faults in materials or workmanship; any bespoke finishing is not covered under this warranty. 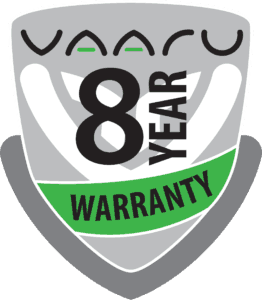 The 8 YEAR WARRANTY is valid ONLY for the original purchaser (original receipts/proof of purchase will be required, showing purchase date) and is only valid if the frame was previously registered with Vaaru. The warranty is NOT TRANSFERABLE to subsequent owners. If a significant manufacturing defect appears during the original purchaser’s ownership of the frame, Vaaru will replace the frame with a single frame of the same or a similar updated model. This warranty applies only to the frame and once the replacement frame is supplied, your 8 YEAR WARRANTY expires. The 8 YEAR WARRANTY applies to normal use and to normal off-road use for all-terrain cycles. It does not apply to damage or failure due to accident, wear and tear, extreme or inappropriate use, abuse, misuse, modification, neglect, stunt riding, jumping, commercial use (hire), theft or act of God. Vaaru are experts in titanium. If a warranty case is opened, Vaaru will examine the frame, and if any of the above is deemed to be the cause of the warranty claim, then Vaaru’s decision to refuse the claim will be final. Vaaru shall in no event be liable for incidental or consequential losses, damages or expense in connection with its products. 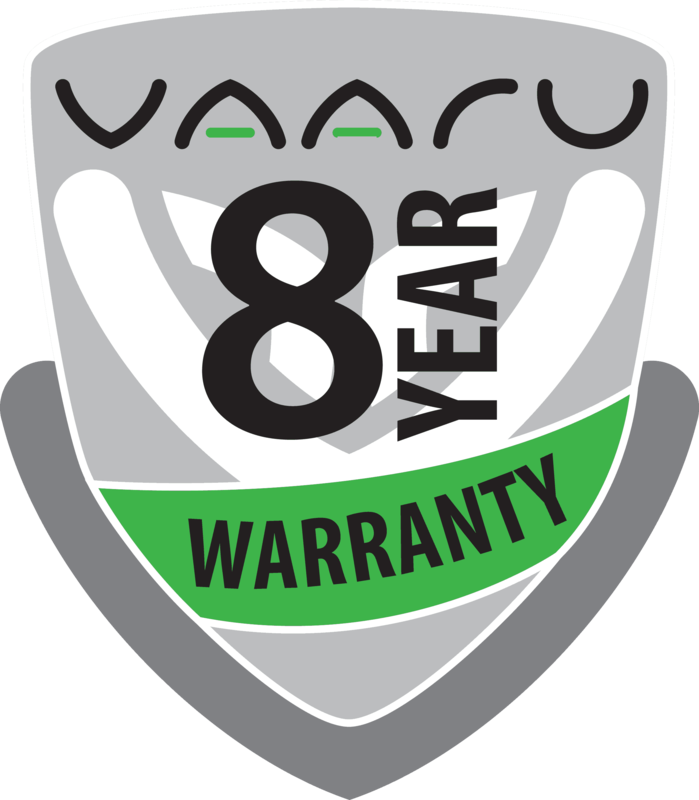 All other products supplied by Vaaru Ltd carry a 2 YEAR WARRANTY against significant manufacturing defects from faults in materials or workmanship. This excludes clothing and any replaceable parts, for example headset bearings. The warranty period commences with the date of purchase. Original proof of purchase by the claimant will be required and the WARRANTY does not cover defects attributable to any sort of misuse of the product. In the event of a claim, VAARU will examine the product and if misuse is deemed to be the cause of the fault, VAARU’s decision to refuse the claim will be final. Contact Vaaru Ltd with your initial claim and include photographic evidence clearly showing the fault and the general condition of the cycle along with original receipts/proof of purchase showing purchase date. Vaaru always recommend that you fully insure your bicycle against all incidents.